Andrew S. Bledsoe earned his M.A. and Ph.D. in American history at Rice University, and has been an assistant professor of history at Lee University since 2013. 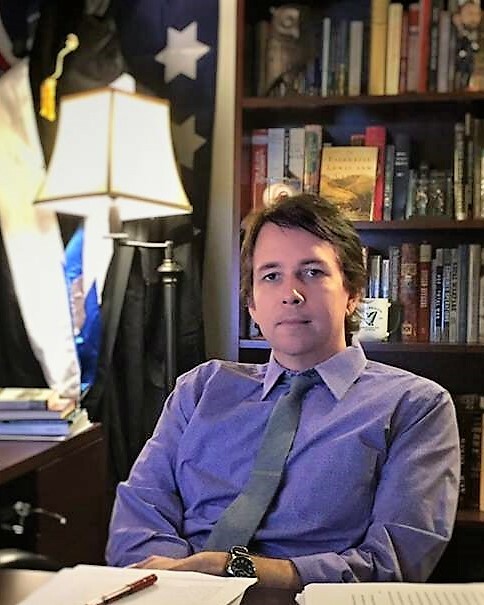 Dr. Bledsoe’s research and teaching interests are in the American Civil War and Reconstruction, military history and leadership traditions, war and society, early American history, the American South, and Civil War battlefield preservation. He is the recipient of a number of awards, grants, and fellowships. He has been a Fellow at the United States Military Academy at West Point and a faculty of Gettysburg College’s Civil War Institute. Dr. Bledsoe’s first book, Citizen-Officers: The Union and Confederate Volunteer Junior Officer Corps in the American Civil War, was published in 2015 by Louisiana State University Press. His second book, co-edited with Andrew F. Lang of Mississippi State University, is entitled Upon the Fields of Battle: Essays on the Military History of the American Civil War, and will be published by LSU Press in 2018. He is also the author or co-editor of works for LSU Press, Cambridge University Press, Oxford University Press, Southern Illinois University Press, Wiley-Blackwell, the Journal of Southern History, the Journal of Military History, the Virginia Magazine of History and Biography, the Arkansas Historical Quarterly, Ohio Valley History, and others. Dr. Bledsoe also leads Lee University’s HIST 492: The Battle of Chickamauga in History and Memory battlefield seminar in the fall of even-numbered years. This seminar is an in-depth exploration of various aspects of the 1863 Chickamauga Campaign, from its planning and execution to its commemoration and place in public and historical memory. Through original research projects, readings, in-class discussions, and multiple “staff rides” or battlefield excursions to the Chickamauga National Military Park, undergraduates explore issues of the Civil War combat experience, strategy, tactics, terrain, battlefield preservation, public commemoration, and historical memory. He has published or is presently working on several projects related to the military history of the Civil War, including an edited volume on new approaches to Civil War military history, war and society in the 19th Century, command and control in Civil War armies, the military staff of Maj. Gen. Ulysses S. Grant, and works on the 1863 Vicksburg Campaign, the 1862 Battles of Forts Henry and Donelson, the 1864 Battle of Franklin, 19th-century military technology, and other subjects. Dr. Bledsoe can be reached via email at abledsoe@leeuniversity.edu.